This sweater was not a surprise. My mother actually gave me a book with patterns in it and told me to choose a sweater. This happened the last time I was in the USA… back in August 2012. 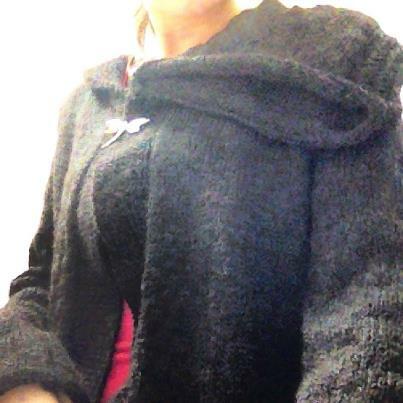 Now I have received this gorgeous, hand-and-love made sweater on the day after I purchased tickets to go to the USA in May of this year. I am so excited that I danced with the mamegomas. On the bed. I think K was actually afraid. This trip was made possible because K got yet another paper accepted for yet another international conference. That makes this number 3 in the past 8 months. He’s basically on fire. One of the conferences is here in Japan, so unfortunately that doesn’t involve travel, but the one in May is being held in Saint Paul, Minnesota. Which is just a short ONE HOUR flight from my hometown over in Michigan. So one (incredibly cheap) multi-city flight (it’s seriously the most amazing flight, all direct, so I only have to be on a plane THREE times. I only have to land THREE times. The chances of me puking is only THREE times opposed to the four that I’m usually faced with when I have to transfer) and I get to hug my dog for 3 nights. I get to see my ENTIRE family and chase my niece around and eat grilled steak and honey baked ham and soy cheese. I get to visit some friends and K can finally see where I grew up. He can actually meet my father. Sadly the Michigan portion of our trip is short, but that’s because we have to get over to Minnesota for his presentation. I am excited to spend a little time just the two of us, and we’re staying in the super cute Hotel 340 and while K’s doing his computer science thing I’m going shopping at the freaking Mall of America. I am beyond excited, this post can’t even being to show how excited I am. This entry was posted in Uncategorized and tagged USA on March 7, 2013 by M..
February was a good month for books, but I somehow managed to not only get behind… but to read less than I did in January. Granted in January I did have winter vacation, so that helped, I was actually busy WRITING in Feb. Currently taking a small break from that to focus on some other things, but this is giving me more time to read. 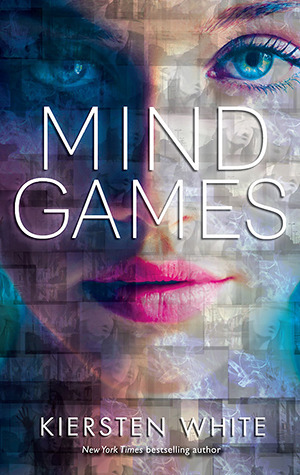 Best book of February was MIND GAMES. I flew through this in two days and couldn’t put it down. I am dying for the next one. Next up was SEVER, the final book in the Chemical Garden Trilogy. This was a BEAUTIFUL ending to a good series, and I love how there were a million things answered. A lot of people were broken up over certain deaths, but for me they worked. THE INDIGO SPELL was a welcome installment in the Bloodlines series, and I was SO excited to learn that it’s NOT the last book in the series. I also went off on a bit of a contemporary fiction tangent thanks to January’s favorite, ANNA AND THE FRENCH KISS. I though LOLA AND THE BOY NEXT DOOR was good, but not AS good as ANNA. I gave John Green a shot and I hope to get back to more of his books in the future. March only has ONE book that I’m dying for, CLOCKWORK PRINCESS, so I’m putting myself on a book buying ban (unless I find a good deal for kindle) for the next month. I need to catch up on my February reads, and some of the other kindle deals that I have sitting on my kindle. Good luck self! This entry was posted in Uncategorized and tagged bloodlines, books, lola and the boy next door, looking for alaska, mind games, reading, sever, the chemical garden, the indigo spell on March 1, 2013 by M..